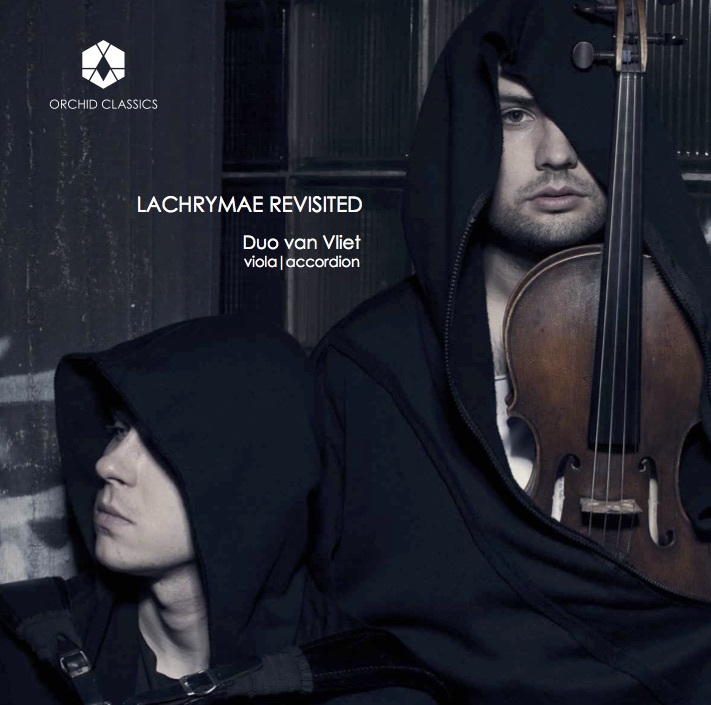 Thank you so much for purchasing our album, Lachrymae ReVisited. On this page you can choose the audio format in which you would like to download the album. You can download as many or as few different versions as you require. This digital version of Lachrymae ReVisited includes an exclusive bonus track: Impression Tango (2004) by fantastic French composer Graciane Finzi. Released June 2017 on Orchid Classics. Includes digital album booklet. This beautiful, passionate flight of imagination alternates tension and relaxation, flirting with tango rhythms, motifs, and ideas in an utterly compelling and beguiling way. It was one of the first pieces of music we played together, and every time we return to it we find even more details and quirks to delight in. Impression Tango was originally written for violin and accordion, but Graciane Finzi adapted it for viola and accordion herself. The music and interplay perfectly suits the range and timbre of the viola, adding a melancholy and darkness to the fantasy.